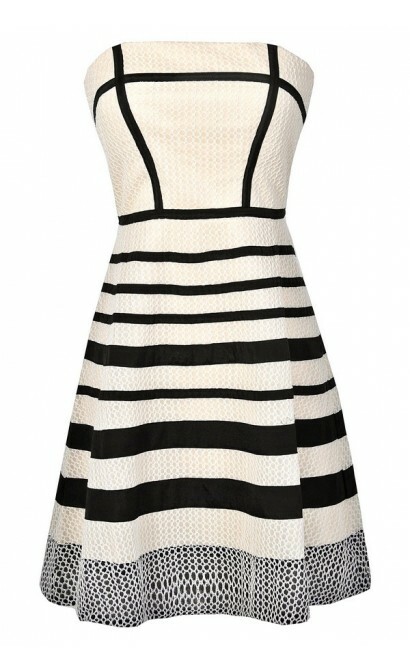 You have added Graphic Lines Ivory and Black A-Line Dress into shopping cart. FINAL SALE. Bold, dramatic, and fun best describes this designer A-line dress. 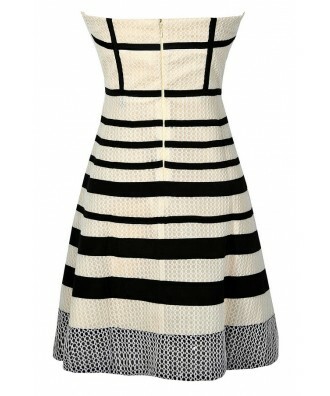 The Graphic Lines Ivory and Black A-Line Dress is fully lined. 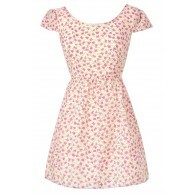 It has a strapless neckline, lightly padded bust, and a classic A-line shape. 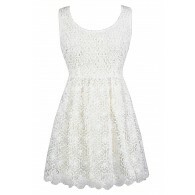 This dress is made of a unique honeycomb textured fabric in ivory. The thing we love most about the fabric is that there are tiny clear rhinestones throughout that can't be seen, but add a subtle shimmer to it. Graphic black fabric trims the bodice. Horizontal stripes of black fabric wraps around the skirt as well. Contrasting black honeycomb textured fabric decorates the bottom hem of the skirt. The Graphic Lines Ivory and Black A-Line Dress is really beautiful and would look perfect paired with black or ivory pumps or strappy heels. We think this would be a posh and sophisticated dress to wear to an event such as the Kentucky Derby with an oversized black hat--it manages to be chic and sophisticated at the same time. Details: Fully lined. Lightly padded bust. Hidden back zipper. 100% polyester. Contrast: 100% polyester. Lining: 95% polyester, 5% spandex. Dry clean only. Small measurements: Length from top of bust to hemline: 28". Bust: 34". 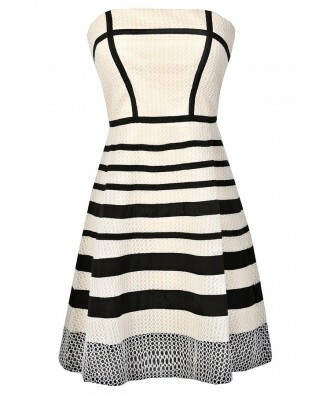 You have added Graphic Lines Ivory and Black A-Line Dress into Wishlist. 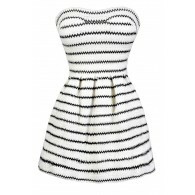 You have added Graphic Lines Ivory and Black A-Line Dress for Stock Notification. 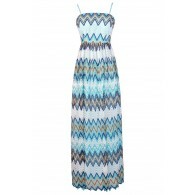 You have set Graphic Lines Ivory and Black A-Line Dress as a loved product. 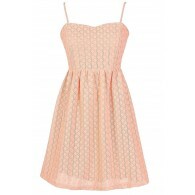 You have removed Graphic Lines Ivory and Black A-Line Dress as a loved product.